This past weekend, several hundred individuals gathered in Atlanta, Georgia for the first annual Crypto-Currency Conference. Attendees spanned from various states in the US and even nations around the world. Some of the highlights of this conference were a Friday evening reception at BitPay Inc’s Atlanta office, a keynote address by Jeffrey Tucker, Executive Editor of Laissez Faire Books, and time for attendees to network and share projects and ideas. 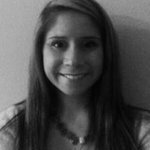 I had the privilege of attending the conference and found that perhaps the most impactful time was the networking opportunity for members of the Bitcoin community and those interested in learning more. In between the various speakers, dialogue included projects in the works, and discussion of decentralized solutions to the various centralized problems our society faces today. 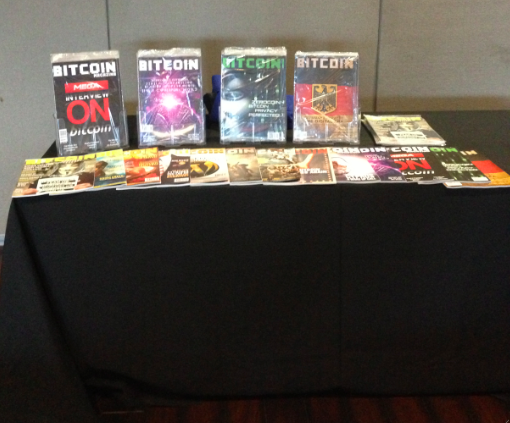 Bitcoin Magazine had a table and sold copies of current and past issues. Jeffrey Tucker opened the conference with a discussion on Bitcoin as, “A New Currency for the Digital Age.” Tucker shared of his first encounter with the Bitcoin currency and how he no longer is skeptical but supportive of the potential of a digital, decentralized cryptocurrency. As the conference pulled in a larger Libertarian constituency, the discussion was taken beyond Bitcoin to address the needs of free societies for decentralization. Michael Goldstein, co-founder of the Mises Circle, addressed how Bitcoin is a technology sparking a movement beyond just money. Cathy Reisenwitz, DC-based writer and political commentator, based her discussion on “Why a free society needs free money.” Daniel Krawisz appealed to Libertarians and made a case for the need for Libertarians to understand Cryptography. To address doubts students of the Austrian School of Economics may have of Bitcoin, Peter Surda emphasized that Bitcoin is sound money and carries just as much or more validity than gold. Tuur Demeester, author of MacroTrends, spoke on Bitcoin and the end of collectivism. From a business standpoint, Adam B. Levine, Editor in Chief of Let’s Talk Bitcoin, addressed, “Doing Business with a Rising-Value Currency,” and moderated a panel with Tony Gallippi and Stephen Pair of BitPay and also Charlie Schrem of BitInstant. Stephen Pair highlighted how Bitcoin is not the first crypto-currency but perhaps now the strongest crypto-currency. Dan Larimer, creator of BitShares and Keyhotee, shared of his company’s model for decentralized solutions to centralized problems. BitShares serves as a peer to peer exchange and trading platform. Keyhotee serves as a privacy platform and a secure window for Distributed Autonomous Corporations. The evening concluded with an update from Austin and Beccy Craig from “Life on Bitcoin.” Austin and Beccy began married life with the challenge of living solely on Bitcoin for 90 days. Austin and Beccy provided a recap of some of the challenges yet also benefits of using solely Bitcoin and shared of plans to travel around the world and back on Bitcoin for their final month of the challenge. The conference was an overall success and Bitcoin Magazine was privileged to not only serve as a sponsor but meet with subscribers and get some additional magazines into the hands of readers! Those interested in watching conference presentations are welcome to view presentations through Let’s Talk Bitcoin’s Video Conference Pass.